James B. Allen retired in 1992 from the History Department of Brigham Young University where, at the time, he held the Lemuel Hardison Redd Jr. Chair in Western American History. However, the term "retire" meant little so far as his active life as a teacher and scholar was concerned. He was soon appointed as a senior research fellow in the Joseph Fielding Smith Institute for LDS History, where he served for a short time on the Institute's executive committee. He continued his association with that Institute until it was disbanded in 2005. Professor Allen received his bachelor's degree in history from Utah State University in 1954, his master's degree from BYU in 1956, and the Ph.D. in history from the University of Southern California in 1963. Meanwhile, he began his professional career in the Church Education System in 1954. He served as a seminary teacher, seminary coordinator, Institute teacher, and director of the Institutes of Religion in Long Beach and San Bernardino, California. In 1963 he became a member of the religion faculty at Brigham Young University and the following year he joined the History Department. 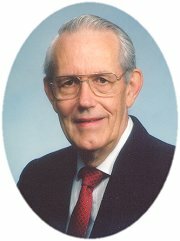 In 1972 he was appointed Assistant Church Historian, working with newly-appointed Church Historian Leonard J. Arrington. For the next seven years he spent half his time in that capacity and the other half at BYU. After returning full time to BYU, he served as chairman of the History Department from 1981 to 1987, after which he was honored with his appointment to the Redd chair. Throughout his career Professor Allen has authored, co-authored, or co-edited fourteen books and monographs, around ninety articles, mostly related to LDS Church History, and numerous book reviews in professional journals. He has received several prizes and awards for his work, including, in 1986, the prestigious David Woolley Evans and Beatrice Cannon Evans Biography Award for Trials of Discipleship: The Story of William Clayton, A Mormon (republished in 2002 as No Toil nor Labor Fear: The Story of William Clayton). In 1984 he was named Distinguished Faculty Lecturer at Brigham Young University. He has also received several "best article" awards given annually by various historical associations, and in 1988 his contribution to Utah history was recognized when he was named a Fellow of the Utah State Historical Society. Among Professor Allen's most well-known books, in addition to Trials of Discipleship, are The Story of the Latter-day Saints (with Glen M. Leonard, Deseret Book Company 2d ed., 1992) and Men With a Mission: The Quorum of the Twelve Apostles in the British Isles, 1837-1941 (with Ronald K. Esplin and David J. Whittaker, Deseret Book Company, 1992). He was also the major author-compiler of Studies in Mormon History, 1830-1997: An Indexed Bibliography (with Ronald W. Walker and David J. Whittaker, University of Illinois Press, 2000). This remarkable bibliography, which took over sixteen years to compile, was heralded by the Mormon History Association as well as by historians generally as the most valuable tool yet to appear for students of LDS history. Since then, working with J. Michael Hunter of the BYU library, Allen has continually updated the bibliography database, which is now online at mormonhistory.byu.edu. Allen is also a co-author, with Walker and Whittaker, of Mormon History (University of Illinois Press, 2001), a study of the history of historical writing about the Church. Professor Allen is married to the former Renée Jones, and they live in Orem, Utah. They are the parents of five children, grandparents of twenty and great-grandparents of one. In 1999-2000 they served a full-time mission as Church Education System missionaries at the Boston Institute of Religion. From January-April, 2002, they lived in Laie, Hawaii, where Professor Allen taught, on a volunteer basis, in the History Department at BYU-Hawaii.